It's my second year as a BDJ Bella and I really don't think I can get by all the deadlines I need to meet without the Belle De Jour planner by my side. It has been my best buddy, with my blog deadlines, events and work. I also look forward to the BDJ Rendevous events that they hold. I had the opportunity to join the last BDJ Rendevous for the year where BDJ Bella's are given exclusive access to these events. • Amazing talks where I get to learn something new. • Rafffle prizes and the loot bag, no Bella gets to go home empty handed! • Meeting other BDJ Bella's. I found a new friend last Sunday! 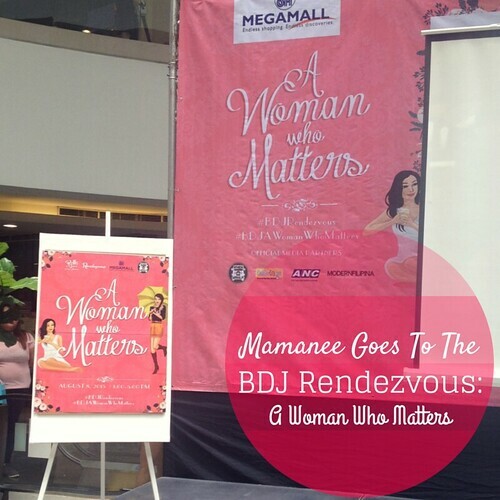 This event was entitled BDJ Rendevous: A Woman Who Matters and we were given a privilege to meet and learn from 3 amazing women: Nikki Duque, Thea De Rivera and Melissa Gohing. Nikki Duque - she's a pro make-up artist who is the daughter of Christine "Ting" Duque who is also a famed make-up artist to the stars. 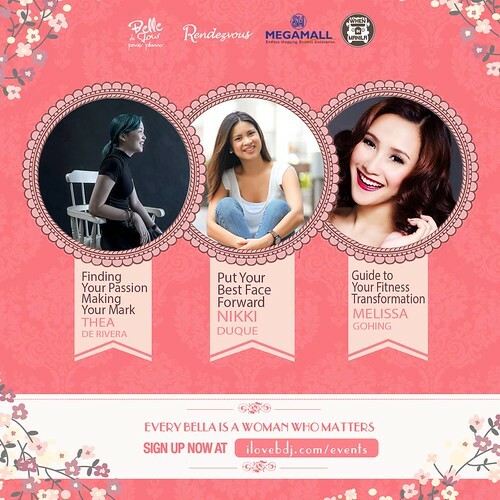 Nikki also blogs at Make Up Nikki Duque I learned so much from Nikki and I could totally relate since I currently work in the corporate world. As a Trainer, I always need to present myself well. I loved her Ground Rules For Make-up: should stand the test of time, should be low maintenance and easy to retouch in a rush, it should be enhancing and not distracting, and should be comfortable and amazing. I asked her what are her recommended drug store brands and she highlighted on Maybelline and also Ever Bilena. Thus after, I went make-up hauling! Nikki Duque during her talk. Thea De Rivera - She is the one of the owners of the very popular restaurant The Girl and The Bull as well as 1210. I loved how the story behind the title came around with her partner in business as well as in love, she shared with us the story of how he calls himself the bull and Thea was the girl that tamed him. Total high scores in the kilig section! She shared her mind of thinking: Always have a mindset of a beginner. always say "Thank you" and I loved it when she said that "you shouldn't lose yourself but stick to who you are". Melissa Gohing - She was a member of the La Salle Volleyball Team and she also blogs at Perspire to Inspire. Melissa talked about fitness with women and how it should be a regular part of your life. I admit, I am the one to make an excuse not to work out and with my age I should start on toning. She shared that exercise is important because of course it promotes weight loss but there are other amazing benefits like, a healthier brain, stronger bones, less stress, strength, decreased health risk and better skin health. I teared up when she told us the story where she incurred a back injury from sports which she said "would be the most devastating thing that could happen to an athlete". I totally agree with her since the same happened to my husband because of MMA (Mixed Martial Arts). She shared her inspirations Alyssa Montano and Krystal Cantu who inspired her to get better. I asked her what would be the best exercise for the very busy Moms like us, she suggested that I could use the stairs to run, do planking and invest in an exercise ball (currently in the works). At the event, there were two product booths, Pond's Institute where you could get a free skin analysis and The Coffee Bean and Tea Leaf where we were treated with a free sample of their new 3-in-1: Ready Coffee as well as a cute notebook, they were also there to promote their new community website called Brew Your Best Year which allows you to share, contribute and learn about their latest events as well as promos. In between talks the BDJ Bellas got a chance to win prizes by joining fun games, I personally loved the Goody Game of relay braiding. Raffle prizes were also given out and you could be sure that you will not go home empty handed! See those smiling Bella's? Raffle prizes for the BDJ Bella's! The list of generous sponsors that made every BDJ Bella who attended happy. In the comfort of our seats we were served snacks from Mister Donut with their new Energy Donuts, totally yummy and scrumptious! Loot! 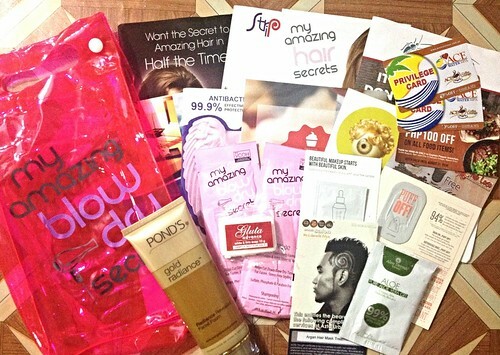 Including the prize I won from the raffle: Free Argan Oil Treatment from Azta Urban Salon! Included also was an Ace Water Spa Priviledge Card, coupon's from Captain Pepper, Modern Shanghai, Crab Loco and info pamphlet's from Cupcakes by Sonja, PestBusters, Strip, Subic Grand Seas Resort, Tangle Angel and Browhaus. The beautiful Melissa Gohing and I.
I went home with a enlightened mind and happy heart. For my yearly investment in the Belle De Jour Planner - I get more than twice as much for what I paid for, with the way that they take care of their BDJ Bella's. Happy heart, soul and mind with these beautiful events that they painstakingly take time to organize. Cheers to Janine and the rest of the BDJ Team for such a beautifully organized BDJ Rendevous, this time around with A Woman Who Matters. Lasses, if you are not a BDJ Bella yet, then you should become one in 2016 to experience the amazing sisterhood of being one.